The Scottish Borders are a wonderful place for a holiday! The Borders are so easy to reach - just south of Edinburgh and on the eastern border with England, the East Coast mainline stops at Berwick, Dunbar and North Berwick and the A1, A7 and the scenic A68 roads go through the region so it is very accessible. The new Borders railway connects Tweedbank (near Galashiels) to Edinburgh and has revigerated the Borders area. Self-catering in the Borders caters for all - from town houses in Kelso to idyllic country cottages. There are also a great range of country house hotels and family guest houses and bed and breakfasts so there is accommodation to suit everyone. The Scottish Borders are well known for its textiles and there are still working mills producing tweeds, cashmere and tartans. Textiles have been woven here since the 13th century and the history of the Borders textile heritage is perfectly explained in the The Borders Textile Towerhouse in Hawick. There are still mills producing and manufacturing cashmere and knitwear in the Border towns of Peebles, Selkirk, Melrose, Innerleithen to name a few, and there are shops selling the superb products here too - many at discounted prices. The gentle hills and valleys offer a quiet way of life and the stunning countryside offers great opportunities for outdoor pursuits. There are many friendly places to stay near or on the walking routes that criss-cross the Borders - some of the most popular include the long distance Southern Upland Way which is 212 miles long and goes through Traquair, Lauder, Galashiels, Melrose and finishes at Cockburnspath, the John Buchan Way (commemorating Tweeddale's famous author) connecting Peebles and Broughton, and the Berwickshire Coastal Path. The Borders Abbeys Way is a circular walk linking the ruined medieval Borders abbeys - Jedburgh, Kelso, Melrose and Dryburgh and is 68 miles long. A fishing holiday in the Scottish Borders is much sought after - The River Tweed is one of the finest salmon fishing rivers in Scotland and indeed the world. The Tweed is also famous for its brown trout and sea trout and there are excellent fishing shops in Galashiels, Duns and Hawick and fishing permits are easily available. 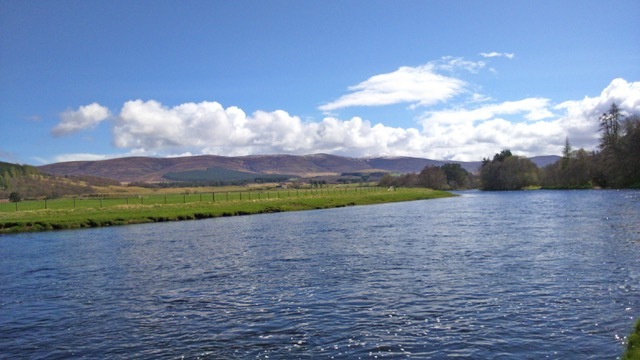 The rivers Ettrick and Yarrow, tributaries of the River Tweed, offer some excellent fishing as do many local lochs and reservoirs. If you want to cycle on your Borders holiday then you are spoilt for choice. There are many marked paths on minor roads or old railway lines which range from easy to very challenging - it's cycling heaven! The Scottish Borders Loop is a cycle path which goes for 250 miles through Kelso, Hawick, Peebles, Melrose, Duns, Eyemouth and Coldstream. If you are a mountain biker then the 7stanes are world class mountain biking centres - Glentress (near Peebles) has easy routes as well as challenging trails, and Innerleithen is famous for its thrilling downhill trails. There are many fabulous country houses and castles open to the public in the Borders - many of these historic homes are still lived in by the families whose ancestors built them. The border between Scotland and England was fought over for centuries and the turbulent history of this region is reflected in the numerous castles in the area. Neidpath Castle, just west of Peebles, overlooks the River Tweed and has some amazing self-catering accommodation next to the castle or in a historic medieval tower house. No holiday in the Borders should miss a visit to Abbotsford, the beautiful home of Sir Walter Scott. Surrounded by stunning formal gardens, the historic house inspired Scott's great novels and poetry and reflects the taste and talents of its creator. Thirlestane Castle, near Lauder, is well worth a visit, as is the ruined Hume Castle near Kelso. 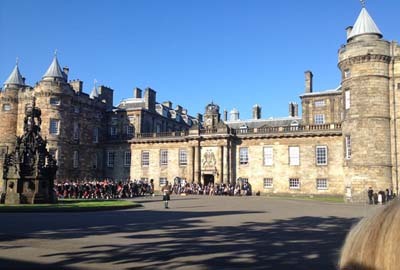 Floors Castle, home of the Duke of Roxburgh, is a fairytale castle on the outskirts of Kelso with world class collections of tapestries and porcelain. Traquair, Bowhill, Paxton, Mellerstain, Monteviot and Gunsgreen houses are also well worth a visit. The Berwickshire coast is stunning. St Abbs is one of the top dive sites in Europe and very popular with divers who explore the crystal clear waters. The Berwickshire Coastal Path goes from Berwick to St Abbs and passes through the fishing town of Eyemouth. 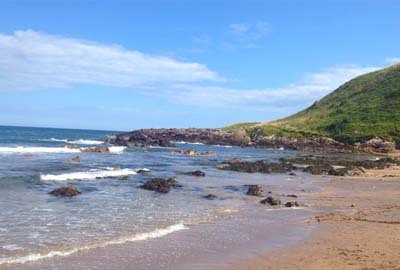 Coldingham Bay is a popular destination for surfers. St Abb's Head National Nature Reserve (in the care of the National Trust for Scotland) is a wonderful place to walk and birdwatch - the views over the sea from the cliffs are spectacular. If you are holidaying in the Scottish Borders then you are well placed to take a day trip to Edinburgh - if you don't want to drive then you can take the train - either the new Borders Railway from Tweedbank and the East Coast line from Berwick or Dunbar straight to the centre of Edinburgh. 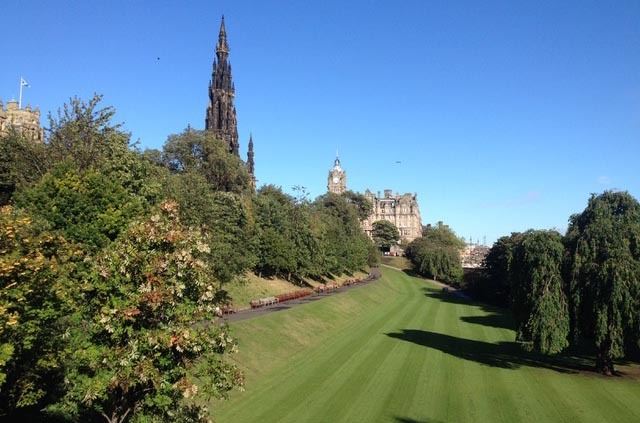 There is of course endless things to enjoy in Edinburgh - world class museums and art galleries, Edinburgh Castle, Dynamic Earth Edinburgh Zoo, the Palace of Holyrood House, Arthur's Seat to climb or take a trip out to South Queensferry to admire the new bridge over the Firth of Forth.